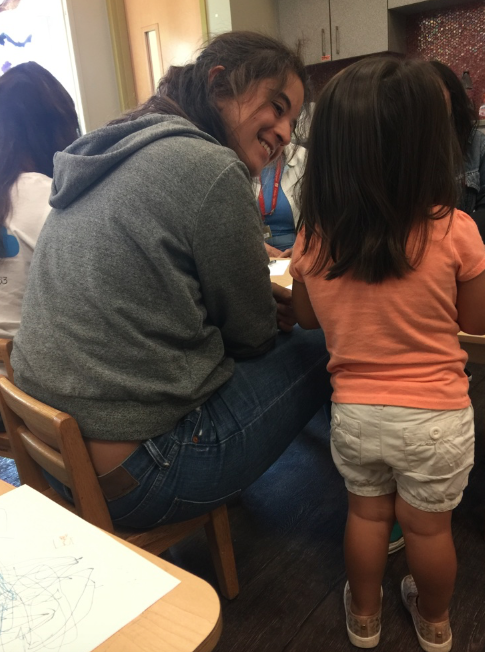 For the last five years, OLP has maintained a community partnership with the preschool inside the Center for Therapeutic Childcare at Father Joe's Village. Preschoolers who experience homelessness also experience emotional trauma and developmental and physical delays. 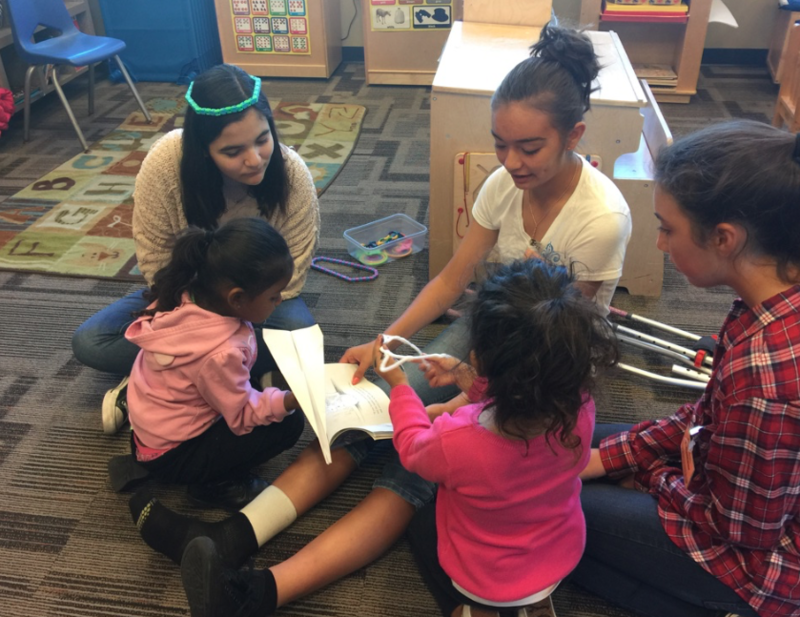 In an effort to respond to their needs, students at OLP have created and maintained the Children's Literature Project, making children's books as authentic resources for emergent language acquisition, English language development, English language arts skills, and increased visual perception. 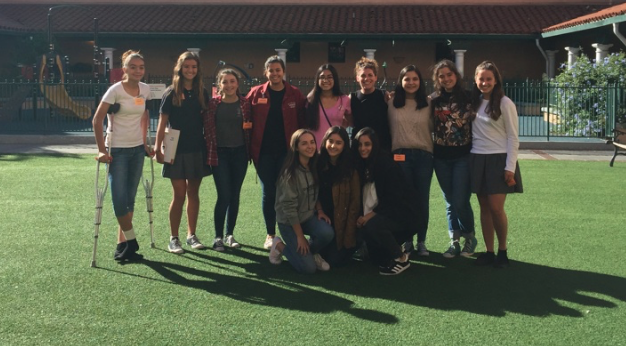 Here's how it works: After multiple visits to the homeless shelter, OLP student writers draft stories and collaborate with illustrators from the art department. The teams then use design software to create original children's books, specifically targeted for those preschoolers. 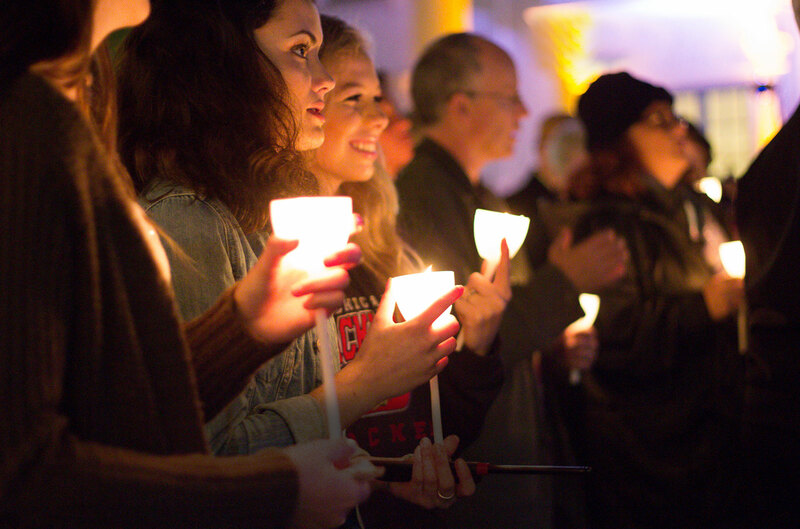 We then travel to Saint Vincent De Paul for a celebration of stories in May each year! 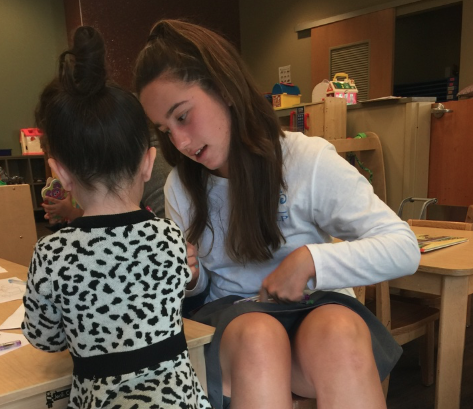 Our OLP students read and share their books with the preschoolers, adding their books to the steadily growing library collection for future generations to use and enjoy. Here's how YOU can help: Each book costs between $25 and $30 dollars to produce, print, and ship. Please consider buying a book for child who, due to circumstances far beyond his or her control, is experiencing the hardships of homelessness in San Diego. Any additional proceeds go toward children's book donations for kindergarten classrooms at our diocesan schools currently experiencing economic hardships.